While the name content marketing may be short, sweet and to the point, the actions that comprise it are much more difficult. There are dozens of viable tips and strategies that go into the process of properly marketing your content to users on social media, in search and via email, but a few basic tips and tricks remain universal. The creation of highly desirable content, proper distribution through relevant channels and communication with audiences are all necessary elements, for instance, but many other, more nuanced tips are more easily forgotten. Below, we’ll talk about ways to maximize your content marketing by employing tips that can be easily forgotten when working hard. Different people respond to different things: that may comprise better than anything else the nature of content marketing. Some people will prefer an article for learning about a topic or news event, while others will enjoy video. Slideshows can be a great way to disseminate information, as well as podcasts. By having multiple formats for your best content, you will ensure sharing and absorption of this information reaches its maximum levels. Going for only the most basic or most content-rich solutions will alienate large numbers of people from the equation; people learn in a variety of ways. 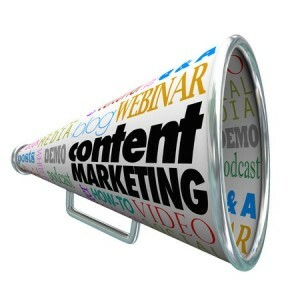 By pinging lists of content rather than one simple format, you will get the most out of each individual effort. There are many different ways to divide content into various forms, but one important classification comes down to its value. In this case, evergreen content (versus timely content) can serve a great function in that it is recyclable. Whenever you produce a piece of content about a late-breaking or current event, then you are not able to gain much value from that content in the future. Evergreen content is content that either remains relevant in perpetuity or that only requires simple modifications over time to remain relevant. You can set this content to be automatically published and re-published via email and social media at regular intervals by using the scheduling function, which ensures more consistent updates – even when you do not have fresh content. While you may have one or two individuals in charge of content creation for your brand (or in the case of sole proprietorships, you are that individual), it can be a great idea to involve the masses in the content creation process. You do not have to reveal your precise reasons for asking for their help; you can make it a fun way to communicate with others! By asking your audience to let you know what they wish to hear about in the future, you can more adequately address their interests and concerns. In addition, larger brands that do have other people involved with their day-to-day operations may have something to offer as well, pinging lists of ideas that they feel the company has neglected to cover. The more ideas and voices that are brought into the process, the better the overall cache of content will be in the end. Which Ways Are People Learning More About Internet Marketing? As Google Snatches Two-Thirds of Market Share, What Lies in Its Future?